The Government and Central Bank are on a collision course after the regulator issued a stark warning to focus on building up a financial buffer rather than tax cuts for workers. 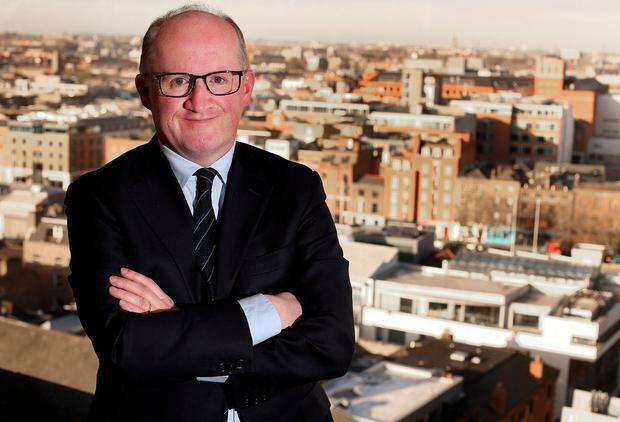 Central Bank Governor Philip Lane has appealed to ministers to cut debt and set aside surplus funds because the Irish economy remains vulnerable to a downturn. The comments came in the wake of Taoiseach Leo Varadkar publishing a letter to Fianna Fáil leader Micheál Martin in which he seeks to extend the confidence and supply agreement that keeps the Fine Gael-led Government in office. The letter includes a wish-list of tax reductions and spending pledges, including a tax cut worth around €600 a year for middle-income earners. In an interview with the Irish Independent today, Mr Varadkar also indicated a desire to relentlessly cut income taxes if he remains in power. "People on pretty modest incomes pay the highest rate of income tax too soon," he said. "If we don't do something about it, it'll get worse and worse and worse," he said, citing wage increases in some sectors. Speaking later, Mr Varadkar did agree that Ireland cannot go back to 'boom and bust' economics, saying any tax cuts would have to be considered "affordable". In the interview with this newspaper, Mr Varadkar argued high income taxes are the "one big exception" to the idea Ireland is a low-tax economy. "We're competing to get good, well-paid jobs into Ireland. We're also trying to encourage people with high skills to come back to Ireland. "And when they see the fact that our marginal tax rate is so high and you pay it on such a modest income, it's actually a bad economic policy as well." However, those spending commitments were made despite signs of a slowdown in the Exchequer, with tax receipts for the first eight months of the year coming in behind target. Addressing the annual Central Bank of Ireland economics round-table, Professor Lane said "if fiscal buffers are not built up, there is a risk of repeating the historical patterns by which economic downturns have been amplified by pro-cyclical fiscal austerity". He indicated that the same sentiment is contained in the pre-budget advisory letter he's sent to Finance Minister Paschal Donohoe ahead of the October Budget. Prof Lane warned of three particular threats, including rising interest rates that will hit high-debt countries, including Ireland, and that a surge in corporation tax revenues since 2015 may not last. That tax take therefore should be treated as a once-off windfall rather than built into future spending plans, he said. Speaking after Mr Lane's comments, the Taoiseach said while visiting Inis Meáin, in Co Galway, that the Government would be "very cognisant" of what the governor had to say. "The last thing we want to do in Ireland is repeat the mistakes of the past. An unaffordable pay increase is a pay cut in two years' time. An unaffordable tax cut is a tax increase in two years' time. Absolutely, my ambition as Taoiseach is for Ireland once and for all to break out of the boom and bust cycle."